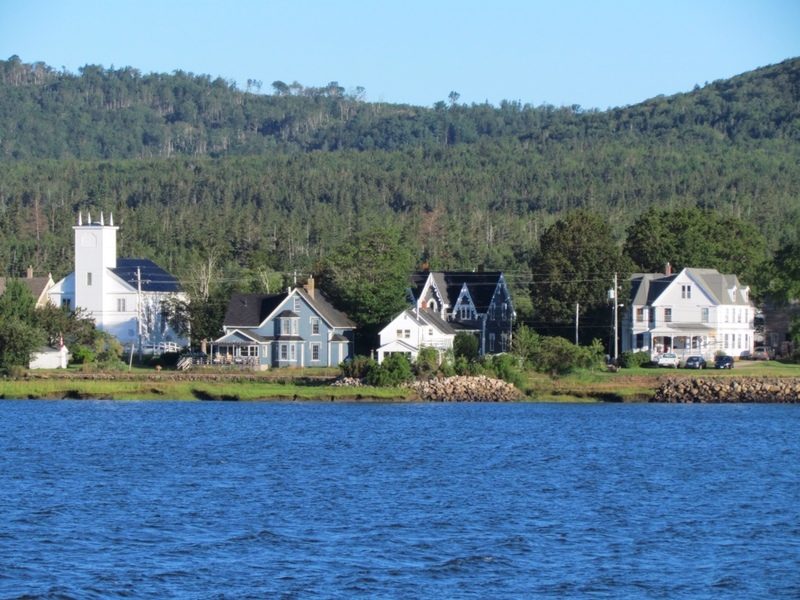 Arriving on the ferry, as the hills of Nova Scotia materialized out of the fog, it was one of those “pinch me” moments. Was I really about to arrive in Nova Scotia? Yes! 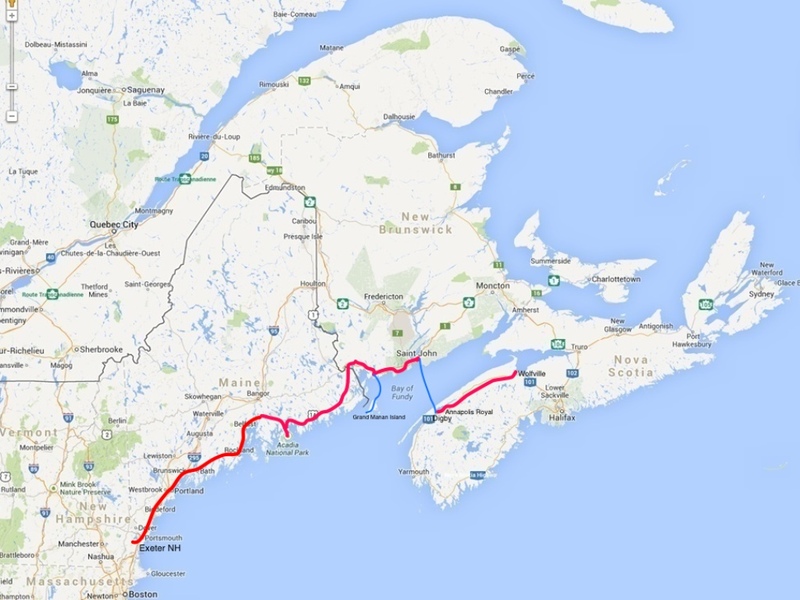 We arbitrarily decided to cycle from our landing point in Digby up to Annapolis Royal, merely based on it being a reasonable distance to complete following our afternoon arrival. But it turned out to be a fortuitous choice. 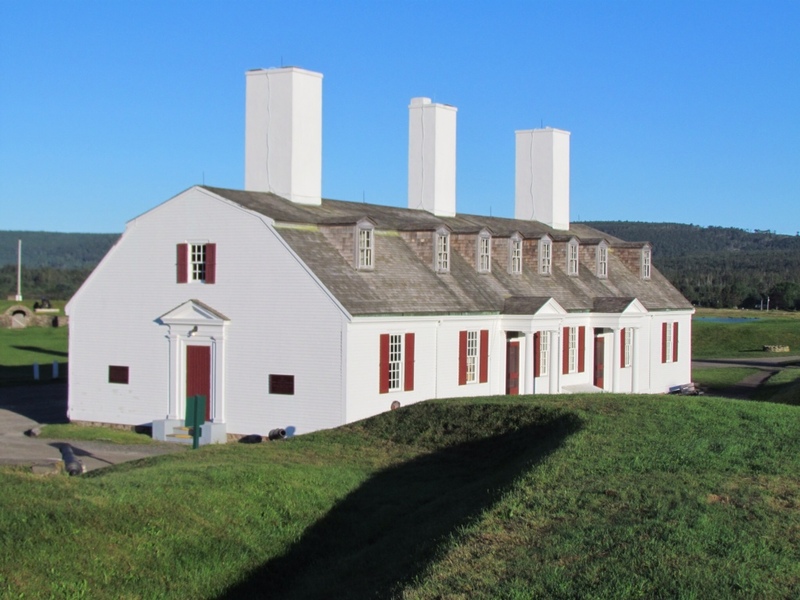 Annapolis Royal is an historic town, dating back to 1605, and they have done a marvelous job of preserving the old buildings in town. We found a nice B&B for the night and proceeded on a lovely walk through town. The fog had lifted, leaving behind a clear sky and the glow that comes with the evening sunlight. 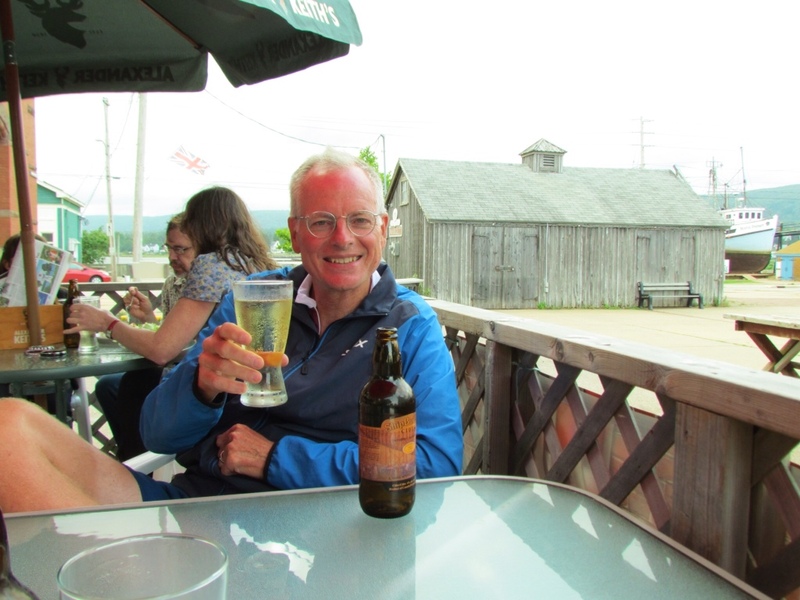 We've come to enjoy a cold hard cider after a day of cycling, and were able to enjoy their local variety at a pub where we had dinner. A clear sunny day greeted us the next morning and we took the opportunity to circle through town again before breakfast. 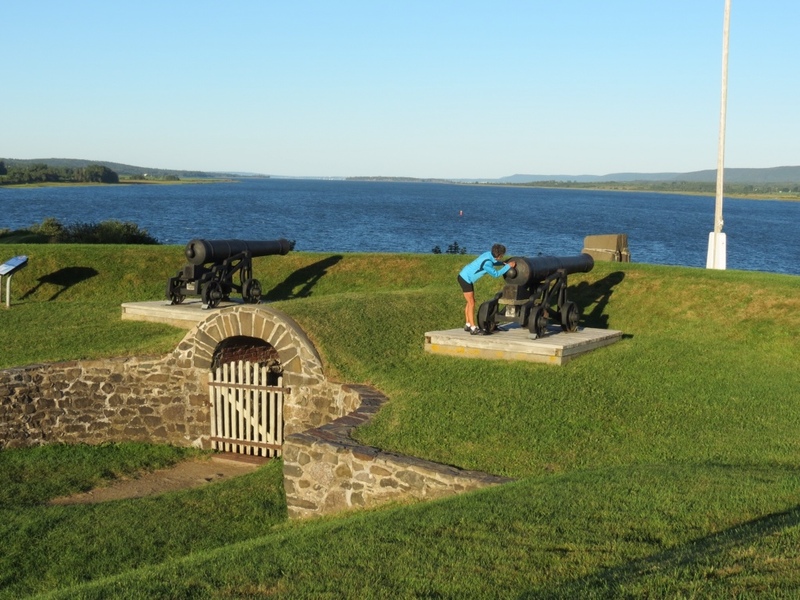 We visited Fort Anne, which we learned was involved in 13 battles and changed hands 7 times between the English and the French over the course of two centuries. Bathed in the morning light, the carefully restored grounds were quiet and magical on the banks of the bay. Molly about to shoot a cannon? The valley was also populated by frequent little towns. 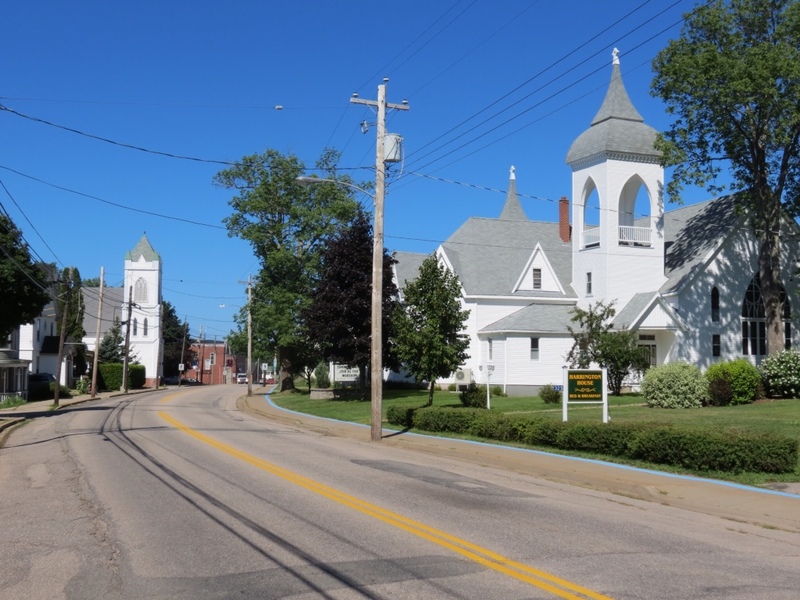 They all seemed to be more affluent and prosperous than the towns in New Brunswick, with old houses well preserved, beautiful churches and picturesque main streets. I decided that the little population centers added a great deal of interest to the countryside for a cyclist. It's no accident that we followed a moderate route today. But the scenery, sunshine and tailwinds were a definite bonus. 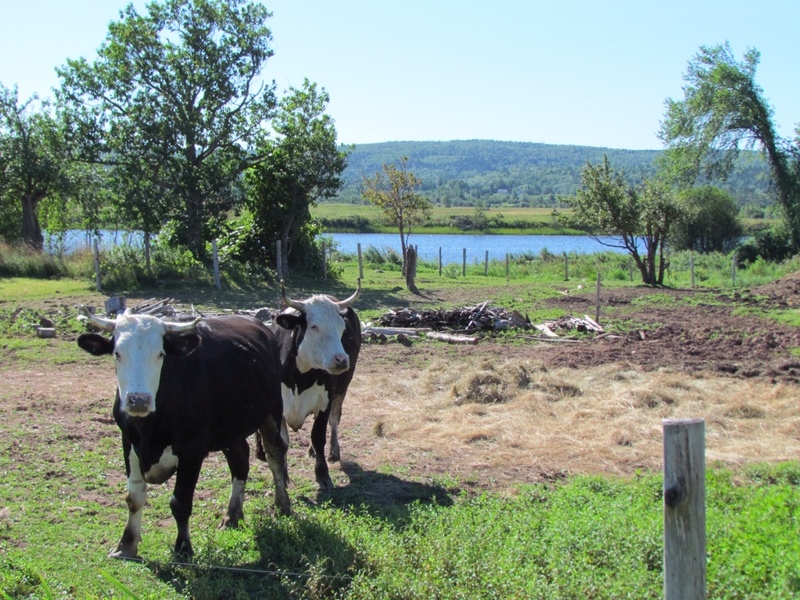 I'd say that Nova Scotia has given us quite a good welcome. P.S. Rich seems to have turned the corner on his crud and is feeling much better. I got my bike repaired in St. John and it is now humming smoothly again in all gears. Our sense of well being has been restored! 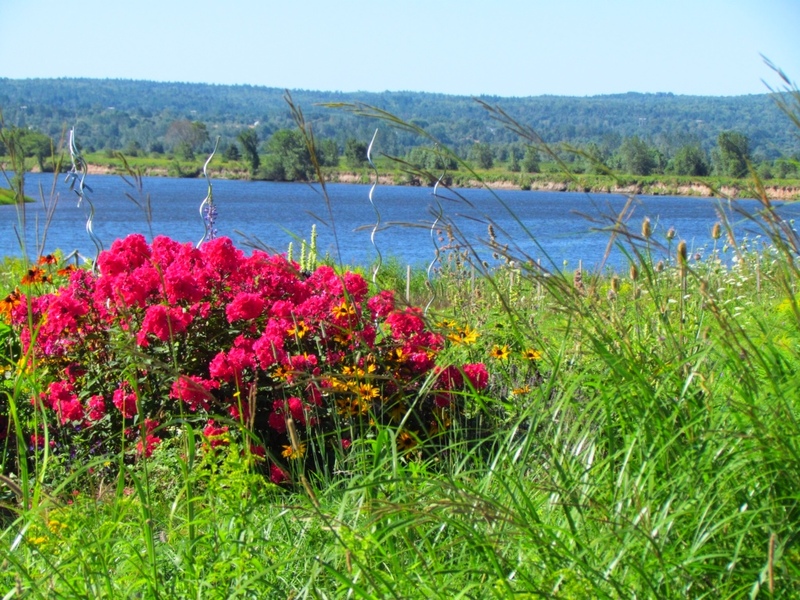 This entry was posted in Keeping Fit, Travel and tagged Canadian Maritimes, Cycling, Cycling Trip, Grand Gaspe Cycling Tour, Travel by Molly. Bookmark the permalink.